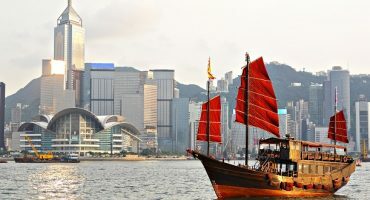 With the arrival of warmer weather and longer days, the rooftop bars of New York come alive as locals and visitors alike enjoy the relaxed atmosphere and breathtaking views to be found storeys above the city. Whether you’re after a refreshing cocktail after a day’s sightseeing or a craft beer whilst watching the sunset, check out our list of the top rooftop bars in NYC. Boasting breath-taking views of Manhattan from the Hudson River to the East River, set a dizzying 54 storeys above the city this is the highest rooftop bar in NYC. 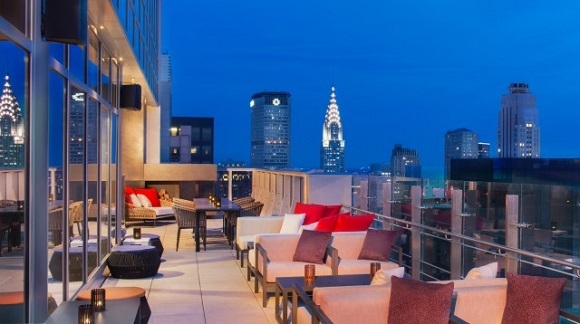 Panoramic views like this come at a premium, but its Times Square location makes it the perfect place to escape the crowds and relax with a specialty cocktail on the outdoor terrace. 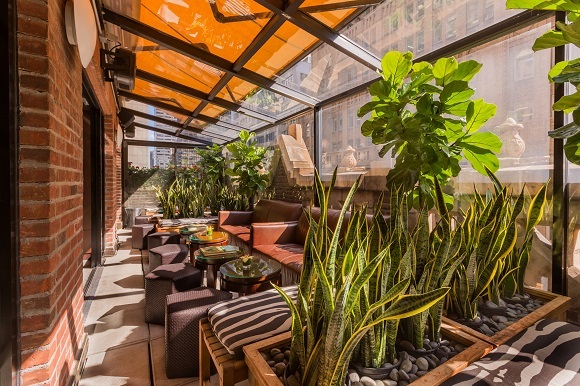 Grab >cheap flights to New York and you could find yourself sipping literary inspired cocktails while enjoying views over Midtown East at this sophisticated rooftop bar offering a side of bookish culture with your drink. The wraparound outdoor terrace offers a relaxed setting to enjoy those warm summer nights. Make your way to the roof of the McKittrick hotel where a leafy green terrace adorned with fairy lights and flowers awaits, offering a romantic setting worlds away from the hustle and bustle of New York City. Home to acclaimed immersive theatre production Sleep No More, this unique rooftop bar offers a creative drinks menu and a relaxed, slightly theatrical vibe. Serving first class food and drink, this rooftop bar also boasts a freestanding fireplace to lend a cosy touch and keep you warm when the sun goes down. The Chrysler and Empire State buildings form part of the stunning views, whilst the décor lends a Mediterranean feel. Relax with a margarita or frosty bottle of craft beer and watch the sunset from this rooftop bar perched atop the boutique Pod 39 Hotel. Part of a collaboration with Salvation Taco, the food is Mexican inspired and the atmosphere is down to earth – the perfect place to check out New York from above on a sunny summer evening! 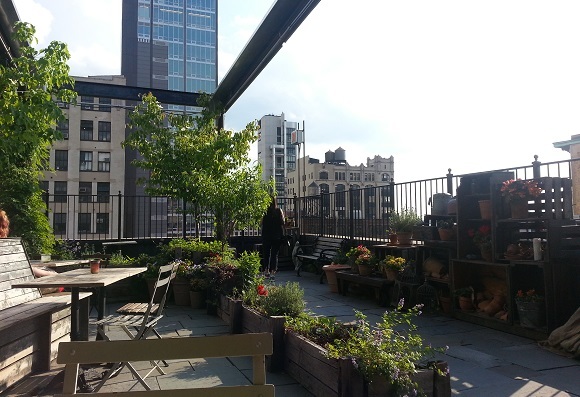 IMG: Hyatt official site, The Library Hotel official site, How to Throw a Rooftop Party, Chris Chabot, Gallow Green View, Marc-Anthony Macon / Flickr cc. 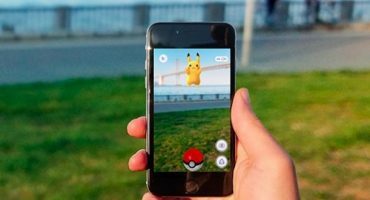 Gotta catch ’em all: Pokémon Go, the latest travel app?